See below for release notes. VERY IMPORTANT: This policy works inside Visual Studio. 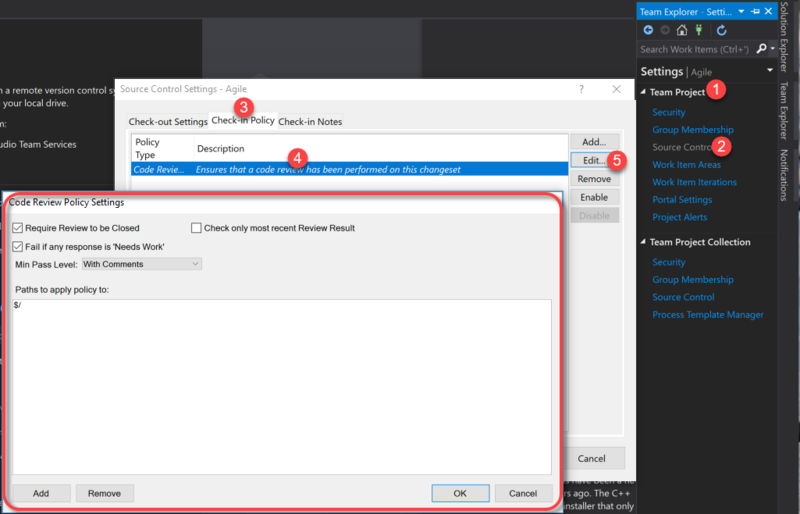 You configure it for a Team Project, but each and every Visual Studio that is going to apply this policy needs to have the extension installed since it is evaluated in Visual Studio, not TFS/VSTS. This policy allows you to enforce Code Reviews at checkin time. This only works with "out of the box" Code Review Request and Code Review Response Work Item types. Note: If you upgrade from previous versions, you will have to remove the policy and re-add it. 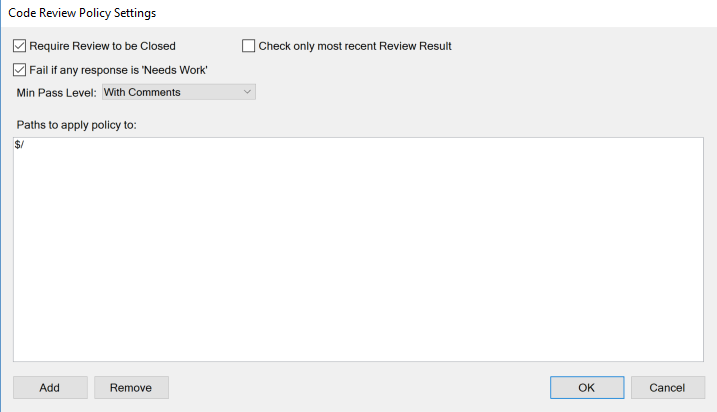 This policy allows you to enforce that only/at least 1 work item is associated with a checkin. The type and count is configurable. Open Team Explorer and click on the Settings tile. In the Team Project section, click the Source Control link. Click on the Check-in Policy tab. Click either policy and click "Edit..." to open the configuration page for the policy.